This ensures it's your pet, and only your pet, who comes home to you. Our exclusive keepsake that captures your favorite memories and photos. Beautifully crafted and featuring a hand carved pattern with a rich, rosy stain. Each urn is hand made therefore you may see variations in the color tone of the stain or the pattern carved. You may purchase an optional engraved brass name plate for an additional charge. 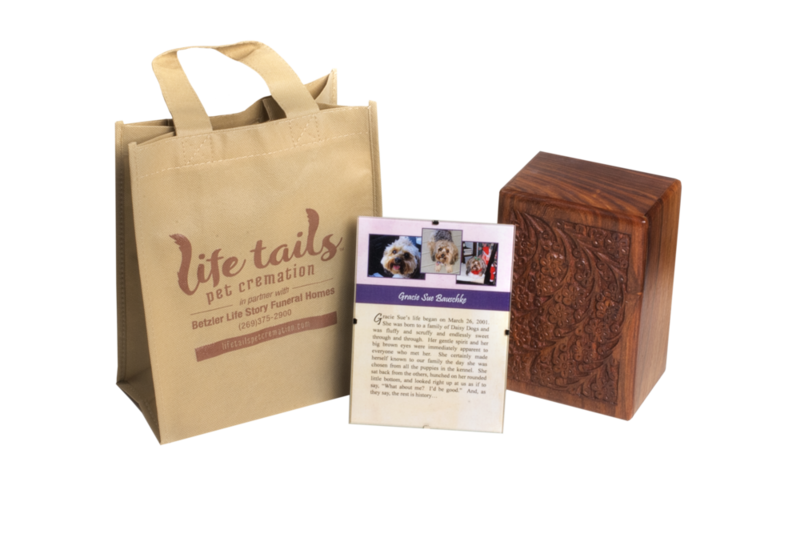 Though the Rosewood Urn is our most popular choice, we do have a variety of additional urns available for purchase.